A man who hacked a teenager to death and hid his body in an attic for eight months has been convicted of murder. Gary Hopkins killed 17-year-old Abdi Ali at the north London home he shared with Stacy Docherty and their three children in December 2017. Hopkins, 36, of Hartmoor Mews, Enfield, then bundled the body in a duvet and hid it away, the Old Bailey previously heard. His partner Ms Docherty, 28, was cleared of murder and manslaughter. The trial was told Abdi, a drug dealer linked to the Get Money Gang, would sometimes use Hopkins' flat to do business. Jurors heard Hopkins "lost it", hitting Abdi over the head with a claw hammer and repeatedly stabbing him with a knife. Window cleaner Hopkins then bundled the 5ft 2in (157cm) body inside a duvet cover, stashing it and the murder weapons in the loft at his home. Despite Abdi, known as Skeng, being reported missing by his family, his body lay undiscovered for eight months. His remains were found after Hopkins threatened to kill another drug dealer, boasting: "I've done it before. He's in the loft." He then bragged to friends of the murder and encouraged them to explore his attic, even providing a ladder. Mr Ali's body was "infested with insects" by the time police found him, the court heard. In her evidence, Ms Docherty said she did not report the crime out of fear. Explaining why she helped Hopkins push the body into the loft, Ms Docherty said: "He could have hurt me. He had just killed someone. He's a loose cannon." 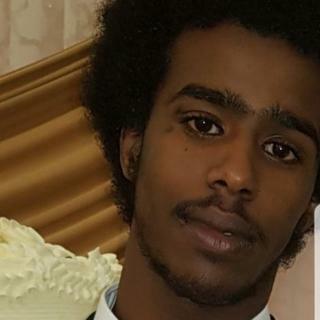 After the verdicts were delivered, Abdi's family described him as a "very respectful, helpful son" who was particularly close to his late grandmother. "I am aware that Abdi had trouble with police before but as a family we were hoping that he would change since he was still very young," his sister Kowsar said. "He had no reason to hide his body for that long in a loft and not even allow us to bury him respectfully, which is a very important part of our faith." The jury was unable to reach a verdict against Ms Docherty on charges of perverting the course of justice and of preventing the lawful and decent burial of a body. Hopkins admitted to the same charges at the start of the trial. He will be sentenced on 26 April.